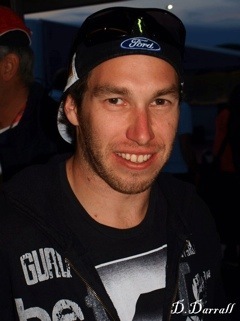 Australian and Ex Subaru World Rally driver, Chris Atkinson will make a long awaited return to the World Rally Championship on the next round in Mexico, teaming up with Ken Block driving a Ford Fiesta WRC for the Monster World Rally Team. 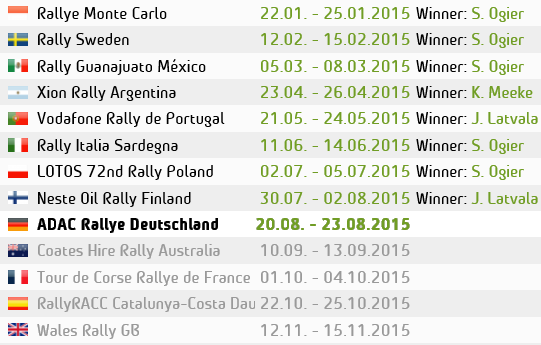 Atkinson has had a three year absence from the WRC. The Australian lost his Seat in the world Championship in 2008 when Subaru pulled out of the WRC. His last appearance in the World championship was in 2009 on rally of Ireland with a private drive in a C4. During his time in the WRC Atko achieved 6 podiums, his best result in WRC was 2nd place in 2008 on Rally Mexico and Rally Argentina. Since then he has competed on selected rounds of IRC with Proton and Asia Pacific Rally Championship and back in April this year took a win on The Malaysian rally. In 2010 he had been rumoured to join Ken Block in the Monster World rally team. When we caught up with him back on Rally Spain 2010 while he was gravel crew for Block, he dampened those rumours and said that his main focus was on the Asia Pacific championship with Proton, but would make a return to WRC if funds and seats were available. But since then he has been working hard on getting a deal together to be able to compete once again at the top leave of the sport. Rally Mexico is the third round of the championship and kicks off next month, March 8-11.